Each KUKLA-standard scale has a test weight. This allows a quick and easy check of weighing accuracy within a few minutes. Extensive material tests are not necessary. The test weight can be placed either manually or operated by eccentric mechanism. Alternatively, a motor-driven test weight depositor is available. The test weight calibration and its evaluation and correction can easily be started directly via the weighing electronics. Where an extremely high short-term dosing accuracy in combination with extremely easy-flowing bulk materials such as e.g. : stucco is needed, the material smoothing is used. Thus, we achieve a volumetrically precise load occupancy. Bulk density fluctuations and different material properties are controlled by the controller exactly at the metering point. 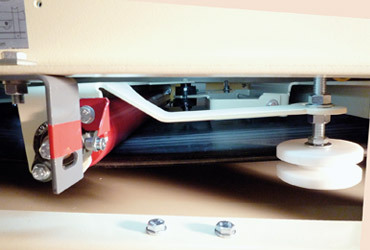 The mechanical belt steering device uses a possible lateral movement to establish an opposite steering motion to the center. 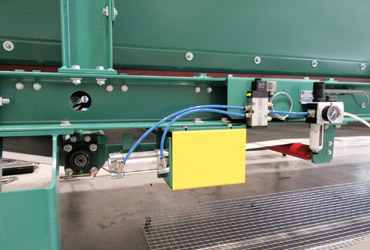 All KUKLA belt scales and weigh feeders with rubber conveyor belts and in a range of 400 up to 1800 mm are equipped with this belt steering- and tensioning device. 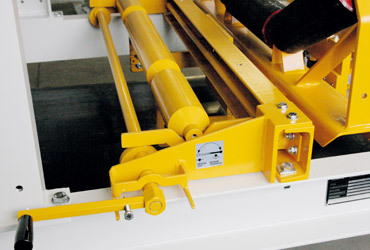 For this design, a guiding roller is moved by a pneumatic cylinder. The belt edge is scanned by sensitive sensors. This ensures that the conveyor belt is perfectly guided in the middle. This belt steering device and tensioning device is mainly applied for synthetic belts with a belt width of 400 up to 5000 mm and high belt speed. 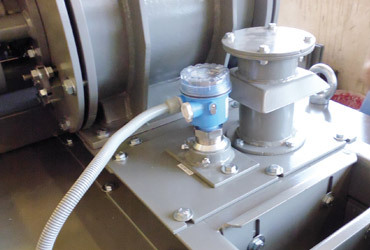 The motor belt steering & tensioning device allows infinitely variable belt steering. 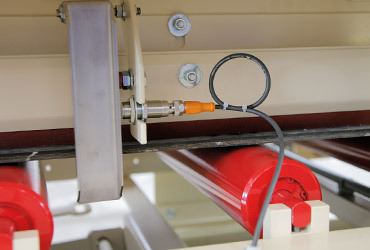 In conjunction with a highly developed sensor the conveyor belt can be kept exactly in the desired area, since even the slightest position deviations are recognized and smoothly balanced. 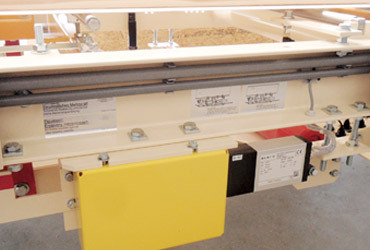 This option is used especially in plants where a precise belt run at very high belt speed is required. All standard KUKLA-belt scales are provided with a belt steering device which always keeps the belt in the center. However, if a misalignment should still occur, it is signalised via the misalignment switch.